Despite the Supreme Court’s attempt to bring a permanent solution to the Cauvery water dispute, Karnataka would be unhappy as the court ordered the state to release 6,000 cusecs of the river water to neigbouring state of Tamil Nadu from tomorrow till 27 September. Justices Dipak Misra and Uday Umesh Lalit also asked the Union of India to constitute the Cauvery Management Board within four weeks. The Cauvery Management Board creation was first stated in the Cauvery Water Disputes Tribunal in 2007 which the centre notified in 2013. 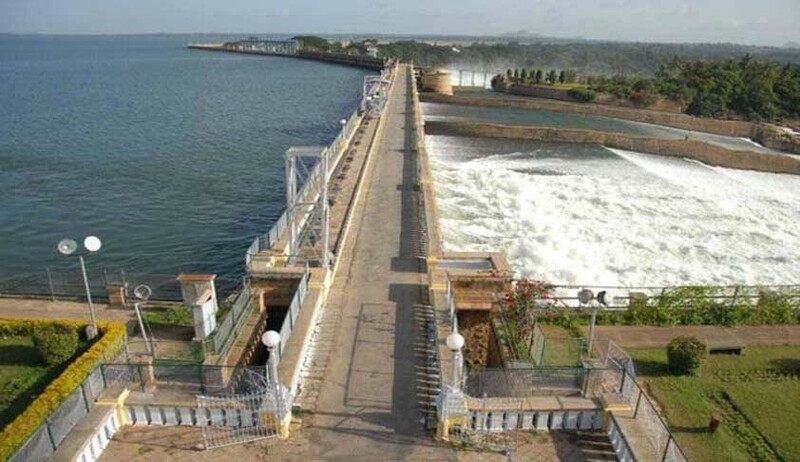 However, for a decade, the central government had sat on the idea of Cauvery Management Board, whose decision will be final and binding on the states concerned in the dispute- Karnataka, Tamil Nadu, Kerala and the union territory of Puducherry. Yesterday, the Supervisory Committee formed by the Supreme Court asked Karnataka to release 3,000 cusecs of water for ten days to Tamil Nadu. Both states have stated their discontent with the order to the supreme court after which they have been granted 3 days time to file objections. It was a full show of strength for Karnataka in court, probably because the state had more to lose. The Water Minister of Karnataka MB Patil, principal Secretary and chief secretary of the concerned departments apart from a number of officers from the Public Works Department were present in court. Senior Counsel, Fali S Nariman started the arguments stating that Karnataka has no water left anymore to give to the downstream state Tamil Nadu. He referred to data on water storage in the Krishna Raja Sagara Dam in Mysuru and said that the state has been facing consecutive distress years. From there, he referred to the order of the Supervisory Committee which he said had no scientific basis. Nariman questioned the jurisdiction of the Supervisory Committee itself and said that interim measures in the cases have harmed all the parties. The Supervisory Committee, a creation of the apex court is tasked with overseeing the implementation of 2007 award of the tribunal. Nariman also pointed out that a ‘tentative monthly release’ of water in a ‘normal year’ is not possible as pointed out by the tribunal award because Karnataka is not facing a normal year but a deficit year in terms of rainfall and the deficit cannot be calculated till the end of the year so monthly estimate will not be possible. Nariman stressed that a ‘normal year’ can be once in a lifetime or several years and cannot be relied upon as a norm. Shekhar Naphde, Tamil Nadu’s counsel started off with stating that the Supervisory Committee has recorded 47% deficit so the state should get at least 56% water as stated by the tribunal award. The tribunal in 2007 had ordered Karnataka to release 172tmc of water to Tamil Nadu every year in a ‘normal year’. However, Karnataka disputed this figure and said that 47% deficit is only in a part of the Cauvery basin and the overall deficit could be way more than that and can only be decided in December. But Napde insisted that there should be monthly releases for the Samba crop as Karnataka will say at the end of the year that no water can be given to Tamil Nadu. He said, “We need water here and now.” After October 15, the Samba crop will die and the water given to us could be useless, he submitted to the court. Both states have proceeded with their arguments assuming that the tribunal award is right and binding but several challenges to various parts of the award and decision are pending before the Supreme Court in the main appeal that is yet to be heard. Karnataka’s problem was further explained by Nariman who said that in case the north east monsoon in Tamil Nadu is good, water cannot be brought upstream to Karnataka. Crops in Karnataka will have to use artificial irrigation from water stored from the south west monsoon. This was the argument that Karnataka took even before the Supervisory Committee. When Nariman realized that the technical aspects did not impress the court, he argued that the Supreme Court cannot take pro-tem measures in cases that are as sensitive as the Cauvery issue. “This court has no jurisdiction to give such orders. The court cannot pass such orders and ought not to pass such orders,” he repeatedly told the court and asked the judges to record his opposition in their orders. To this the Court relented and said that had the Cauvery Management Board been in place, there would have been no pro-tem orders. Karnataka said that if the court further passes any order to release water, the drinking water for Bengaluru will be severe shortage”We are following the court’s order with great reluctance,” he said. Naphde objected to this and said the tribunal has said in its award that Cauvery water cannot be used for ‘trans-basin’ activities. Since only 1/3 of Bengaluru falls under the Cauvery basin, drinking water for 2/3 of the city cannot be secured as a matter of right. Karnataka however was quick to point out that Chennai gets 5tmc of Cauvery water separately from Karnataka for drinking water purposes. “In our considered opinion, the court cannot make an interim arrangement in a matter of such nature as the present case and we have reasons to say so. Procrastination is not advisable in such cases,” the court said and listed the matter for hearing at 2pm on 27th September.